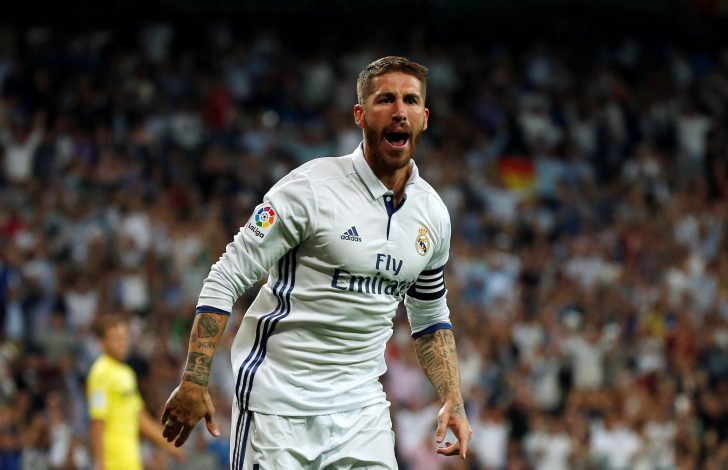 Real Madrid are set to miss their skipper Sergio Ramos for their league game against Deportivo la Coruna on Wednesday. The Los Blancos defender saw a straight red in the recent El Clasico, thanks to a rash challenged on Argentine star Lionel Messi. 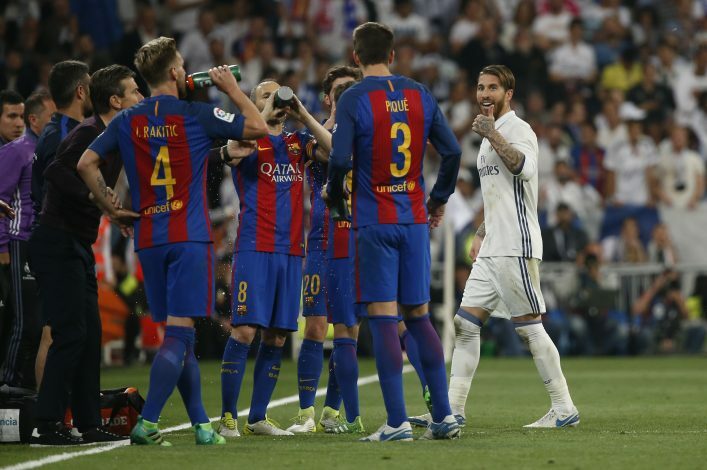 Ramos was seen plunging into a two-footed tackle on Lionel Messi right on the halfway line, and was suspended for the rest of the game, from which Real Madrid failed to take even a single point. And it is now reported that he will serve just a one-match ban for his actions in this game. Referee Alejandro Hernandez Hernandez revealed in his official match report that Ramos used “excessive force” in “knocking over his opponent”. Spanish football’s governing body, the RFEF, have also reportedly rejected an appeal from the Spanish side. The committee judged that the referee had “unique, exclusive, and definitive” competence to apply the rules, and rejected the appeal from Real Madrid. It is understood that the Bernabeu outfit appealed and provided written evidence and video footage to try and convince the committee to reduce the suspension. However, Ramos was also hit with a standard €600 fine, while Real Madrid were fined another €350 for this incident. The Spanish defender was seen sarcastically clapping at someone after being sent off, and though the referee had a mention of this in his report, no further action seems to have been taken for his actions. Real Madrid have 10 more days to appeal this ban, but they are surely going to miss Ramos for the game in the midweek. However, Real have enough firepower in their tank, and are set to unleash French star Raphael Varane, who is coming back from an injury, in place of Ramos for this tie.